Mixes of seed beads There are 4 products. 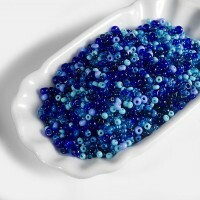 Mix of glass seed beads of blue opaque and transparent colors. Producer is Preciosa Ornella. 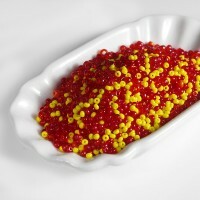 Mix of seed beads of yellow, orange and red opaque and transparent colors. 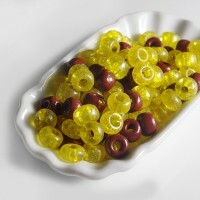 Mix of rokajl glass beads of yellow and brown colors. Opaque glass and opal glass with crackes. Producer is Preciosa Ornella. 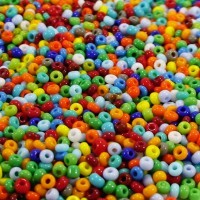 Czech Seed Beads Opaque Rainbow Mix by Preciosa Ornela. Size of beads is about 2.5 mm. There are about 3400 beads in 1 pack.